Articles and reports published by BIRN in recent months have been quoted and referenced in various European publications about media, minorities, democratisation, foreign fighters and radicalisation. BIRN is quoted in the ‘Reporting Crisis in South East Europe: Case Studies in Six SEE Countries’ report series by the South East European Network for Professionalisation of Media, published in August 2017, for its media monitoring on issues like censorship and self-censorship, and also mentioned for its investigative reporting achievements. 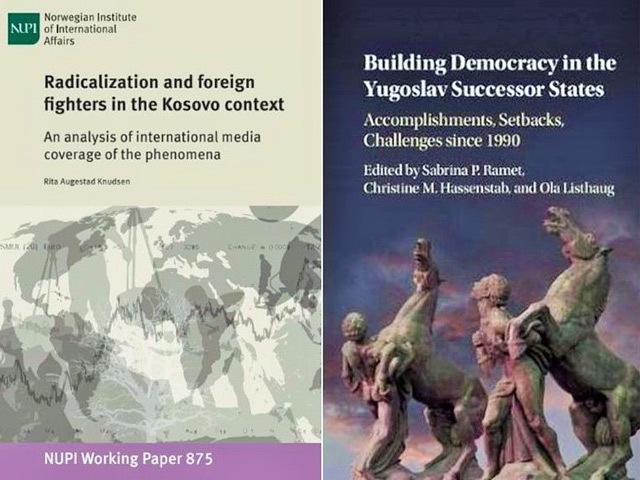 BIRN is also quoted in ‘Building Democracy in the Yugoslav Successor States: Accomplishments, Setbacks, and Challenges since 1990’, edited by Sabrina P. Ramet, Christine M. Hassenstab, and Ola Listhaug from the Norwegian University of Science and Technology in Trondheim and published by Cambridge University Press in May 2017. Around 20 different articles published by BIRN’s regional publication Balkan Insight over the last five years are quoted in the book. The report ‘Radicalization and Foreign Fighters in the Kosovo Context – An analysis of international media coverage of the phenomena’, published in June 2017, quotes Balkan Insight and Prishtina Insight articles about the role of online propaganda in Balkan jihadi environments and recruitment, and court cases against Kosovo terror suspects. “Since 2014, the high proportion of foreign fighters from Kosovo and challenges related to radicalisation have been extensively covered by international English-language print and online media,” the Norwegian Institute of International Affairs says in the publication. The European Commission against Racism and Intolerance (ECRI), established by the Council of Europe, an independent human rights monitoring body specialised in questions relating to racism and intolerance, published a report about minority rights in Serbia in May, which quoted a number of Balkan Insight articles from recent years.